RENUA HAS PLEDGED to effectively abolish the Leaving Certificate and replace it with a largely apprentice-based system as part of proposals contained in its general election manifesto. The party will be the first to unveil its manifesto later this morning as preparations for the election, which is expected late next month, begin in earnest this week. One of the party’s most eye-catching proposals is to end the current Leaving Certificate and replace it with a new system where only 30% of the overall mark will be exam-based with the rest being “task orientated” under a self-assessment and apprentice-based system. The party claims this will prepare people for careers in tourism, hospitality, retail, fashion and design, agriculture, car maintenance, or crafts and trades like woodwork, metalwork and construction studies. “Students should have access to practical, fit-for-purpose applied Leaving Certificates that provide for a mix of work experience modules and academic tuition,” a party source said. Meanwhile, TheJournal.ie has learned that Renua will pitch itself to voters as a possible coalition partner for Fine Gael and Labour if the current administration needs a third party to form a government. But a senior party source told this website that Renua is pitching itself to voters as “a potential watchdog” of Fine Gael and Labour in government. “We will be asking do you want to let this lot in on their own again? Do you trust them? “Fine Gael and Enda want absolute power with Enda as the high king of Ireland or ruling with the support of independents who are far more concerned about potholes rather than IBRC. Its controversial flat tax proposal. Investment in housing and childcare, including a €500 million tax cut for working parents, spending property tax revenue on childcare facilities, and a €2 billion public-private partnership home building programme. A zero tolerance policy on repeat serial offenders. Acting as a watchdog in government by replacing cronyism and double standards with transparency and reform. On her party’s plans to abolish the Leaving Certificate as we know it, Creighton said: “The current Leaving Certificate is not fit-for-purpose. 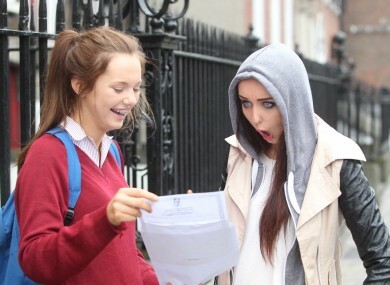 Explainer: The Leaving Cert’s getting a massive overhaul. Here’s how it’ll work. Email “Renua wants to abolish the Leaving Cert as we know it”. Feedback on “Renua wants to abolish the Leaving Cert as we know it”.